The Central Government supplements the efforts of the State Governments for improving healthcare including prevention, diagnosis and treatment of cancer. At present, the National Programme for Prevention and Control of Cancer, Diabetes, Cardiovascular diseases and Stroke (NPCDCS) being implemented under National Rural Health Mission (NRHM) for interventions upto the district level includes Cancer prevention, screening, early detection and referral to an appropriate level Institution for treatment. In addition, the Government has recently approved a scheme for enhancing the Tertiary Cancer Care facilities in the country under NPCDCS. Under the scheme for eligible institutions upto Rs. 45 crores per Tertiary Cancer Care Centre and upto Rs.120 crores for State Cancer Institute is available to assist 20 State Cancer Institutes and 50 Tertiary Cancer Care Centres in different parts of the country. The Central and State share for the said amount will be in the ratio 75:25 and for North East and Hill States the share would be 90:10. In the 12th Five Year Plan, Rs. 6000 crores has been allocated under NPCDCS for interventions upto the district level under National Rural Health Mission and allocation of Rs. 3200 crores for the tertiary care component. In the earlier NPCDCS scheme, which was implemented from 2010 to 2012-13, the focus was on 100 districts in 21 States for prevention and control of Cancer, CVDs, Diabetes and Stroke. From 2013-14 onwards, interventions under NPCDCS for prevention, early detection, diagnosis and treatment of cancer, which can be taken up upto District level, have been brought under the umbrella of National Rural Health Mission. Funds released for different States under NPCDCS for the year 2010-13 and for 2013-14(till date) are Rs. 204.58 crore and Rs.75.67 crore respectively. Funds released under Tertiary Cancer Care component of NPCDCS for the year 2011-12 and 2012-13 are Rs.33.60 crore and Rs.24.00 crore respectively. 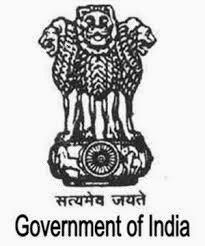 The Government of India also supports diagnosis and treatment of cancer through Central Government Hospitals/Institutions in different parts of the country. This was stated by Sh Ghulam Nabi Azad, Union Minister for Health and Family Welfare in a written reply to the Rajya Sabha today.